Elizabeth Straly was a widow whose husband was a land grantee of the Peters Colony. 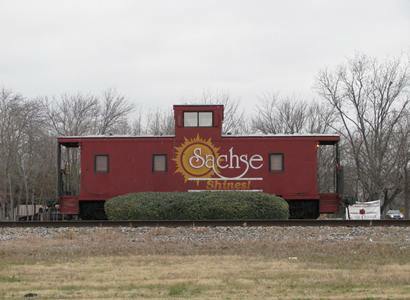 She remarried William C. Sachse and the couple donated a right-of-way for the Gulf, Colorado and Santa Fe Railroad in 1886 (on the condition the stop would be named after them). A post office was granted under the name Saxie the same year but it took six years to get the misspelling corrected. Growth was slow. From 100 residents in 1900, the town didn’t reach 250 people until the mid 1950s. 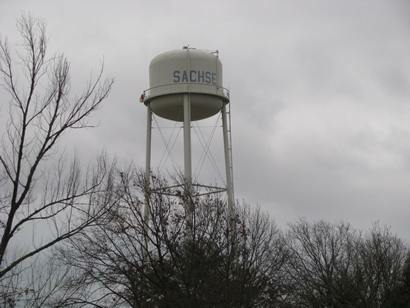 Because of the growth of Garland, Sachse became a suburb of Garland, reaching a population of 2,000 by 1980.